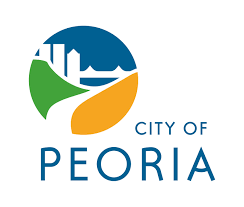 A limited state of emergency has been declared in the city of Peoria. Mayor Jim Ardis issued the proclamation Tuesday afternoon ahead of forecasted record-low temperatures. The directive ensures Peoria’s first responders are coordinating efforts under the city’s emergency operations plan. Residents are urged to avoid unnecessary travel, stay indoors, be mindful of pets and check on neighbors and seniors. Citizens should also only use approved heat sources, and avoid using cooking appliances or portable fuel-burning space heaters that aren’t properly vented. A warming center is available in the Peoria Police Department lobby at 600 Southwest Adams. Residents can also call 2-1-1 if they are in need of other warming centers or shelters.